The British Prosper Spy Network: Destroyed to Protect D-Day? HomeDailyWWIIThe British Prosper Spy Network: Destroyed to Protect D-Day? The British Prosper spy network was destroyed, but the British themselves may have facilitated the tragedy to conceal plans for the D-Day invasion. On June 6, 1944, hundreds of thousands of Allied troops, planes, and ships departed from their bases in England bound for the shores of France in what was to be the greatest invasion of all time. Plans for the massive operation had begun months before in both London and Washington, D.C. A major part of the planning rested on an elaborate, multifaceted deception operation to be launched to fool the Germans as to where the actual invasion was to take place. Allied intelligence officials convinced the Germans that the invasion was to take place at the Pas de Calais, about 150 miles northeast of Normandy, the actual invasion location. In 1943, one year prior to D-Day, the British intelligence services initiated a complex deception operation centered in France designed to fool the Germans into believing the invasion would take place in the spring and summer, centered in the northwest of France. The code name for the men and women who would play their deceptive game was “Prosper.” By the time the war ended, however, the entire Prosper network had been killed or captured, either by design or happenstance. The originator of the Prosper mission was the super-secret British intelligence unit called the Special Operations Executive, or SOE. The SOE’s primary mission was to aid the resistance fighters in occupied Europe by any means possible, including assassination, guerrilla operations, and attacks on German military and industrial targets. The SOE was given its mandate by Winston Churchill, who issued marching orders to “set Europe ablaze.” This they surely did. A special division of British intelligence, called F-Section, or French Section, strictly devoted to aiding the resistance groups, was set up. 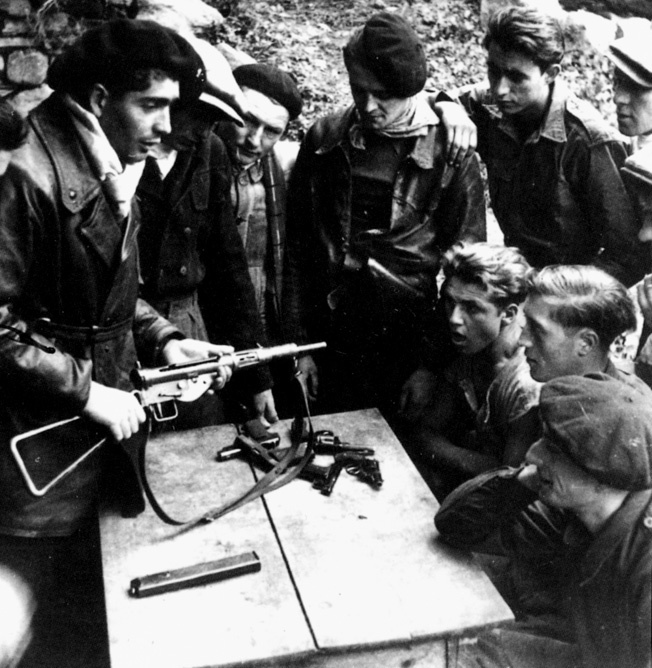 As the war progressed, over 80 independent resistance groups were established in France, from the hills of the Pyrenees to the streets of Paris and to Hitler’s Atlantic Wall. Prosper, led by Francis Suttill, was one of these. Francis Suttill was of Anglo-French origin, born in Lille, France, in 1910. A lawyer before the war, he had served in the East Surrey Regiment of the British Army. When the war started, he was posted to F-Section and was soon put in charge of the nascent Prosper network, which had wide tentacles across France. Suttill was given only seven months of training in the ways of secret warfare and sent into the field. His main task was to set up a clandestine resistance organization in northern, southern, and eastern France, including the capital, Paris, which was in German hands. His cover was that of a man named Francois Despree, who was in the agricultural produce business. His new cover identified him as born in Lille in 1910 of French and Belgian parents. Along with his new personality, F-Section gave him its own secret code, Prosper, named after a 15th-century author. F-Section’s main training base for these new agents was at Gibraltar Farm, Tempsford, in Buckinghamshire, approximately 40 miles outside London. On October 1, 1942, Suttill arrived at the Manston air base for his covert flight to France. Accompanying him was Maurice Buckmaster, the commander of F-Section. Buckmaster was there to see off his principal agent. Buckmaster had worked hard to set up F-Section’s logistics and method of operation, which included various airfields in England where skilled pilots and ground controllers would see to it that agents were secretly flown into and out of France. These secret RAF flights also carried mail to their agents in France. One of the most talented of these ground controllers was a French military officer named Henri Dericourt. Dericourt’s main job in the Prosper scheme was as the controller of all secret air traffic into Paris and the surrounding areas. As time went on, Dericourt would play a controversial role in the history of the Prosper network. On that dark night in October 1942, Suttill was dropped by parachute into German-occupied France, landing near the town of Vendome, about 110 miles from Paris. Over time, he was to recruit a large number of men and women who would make up the nucleus of his network. The code names given to his agents were Physician, Donkeyman, Bricklayer, Chestnut, Priest, Cinema, and Orator. During the next year, Suttill was able to recruit over 10,000 covert agents throughout France. These daring individuals ran secret mail lines, espionage operations, medical clinics, and wireless operations back to England. The way in which Dericourt came to the attention of Buckmaster’s F-Section is fraught with controversy. Most historians say that Dericourt was introduced by Air Commodore Archibald Boyle, who was head of intelligence at the Air Ministry. Boyle had heard of Dericourt from Claude Dansey, a pariah among many people in the British intelligence services for his ruthless way of doing business. Dansey was vice chief of the British SIS (Secret Intelligence Service) during the war. He controlled thousands of spies in Europe and was head of the shadowy “Z” operation, which ran without the knowledge of the SIS. No matter how Dericourt came to the attention of F-Section, his covert role in the organization was to penetrate the German Sicherheitsdienst (counterespionage) headquarters in Paris. What was not known to many top members of British intelligence was that Dericourt had a clandestine relationship with Hans Boemelburg, the chief of German counterespionage. On the night of January 22-23, 1943, Dericourt parachuted into France. He arrived in Marseille where he picked up his wife. From there, they traveled to Paris and took a room in the Hotel Bristol, which was the home away from home for many SD agents. Curiously, Dericourt’s presence in the hotbed of SD activity went undetected, and he was not apprehended while the couple stayed at the hotel. The lack of German action against a well-known leader of British covert operations poses an obvious question. Why did the Germans allow a known British agent to remain safely ensconced in the middle of their own operation? Agent reports after the war said that Dericourt did indeed meet with Hans Boemelburg while the latter was in Paris and that he divulged his real mission to him. Dericourt also gave up the locations of 14 clandestine airfields from which airdrops into occupied France originated. While Dericourt made his secret arrangements for the landings of SOE F-Section agents, preparations for the insertion of other members of the Prosper network began. One of the first agents to be parachuted into France was Jack Agazarian, who worked for the SOE. He arrived in Paris in December 1942, and his wife, Francine, soon joined him. He began working with Henri Dericourt on organizing secret airfields on which RAF pilots were to land on their clandestine missions. Over time, Agazarian began to question Dericourt’s loyalty, and he reluctantly made London aware of his misgivings. On July 22, 1943, both Bodington and Agazarian returned to France to meet with Suttill and his agents. A meeting was arranged with another member of the Prosper network, Flight Lieutenant Gilbert Norman, code named Archambault, a wireless operator, at his address near the Rue de Rome. However, only Agazarian met with Norman. As the meeting was progressing, German police broke down the door and arrested both Norman and Agazarian. Agazarian was sent to the Fresnes prison, where he was tortured over a period of six months. He was later sent to the Flossenburg concentration camp, where he was executed on March 29, 1945. Another casualty in Suttill’s group was a woman named Andree Borrel. Borrel was of French decent and worked for the SOE. In her early 20s, Borrel was in France working in a hospital. She later aided downed Allied airmen in crossing the Spanish border and reaching safety in England. She joined F-Section in May 1942. She was transported to France for the first time aboard a Whitley bomber on the night of September 24, 1942. Joining her on the mission was Lise’ de Baissac, code named Odile, who worked in the Poiters section of France. Both Lise’ and her brother Claude, also an agent, were safely returned to London in August 1943. Unknown to Borrel, the Germans were watching her every move. She, too, was arrested. In May 1944, Borrel, along with other women members of the resistance—Odette Sansom, Veral Leigh, Diana Rowden, Yolande Marie Beekman, Zoe Damerment, and Eliane Brown-Bartoli Plewman—were taken to the women’s prison at Karlsruhe. Borrel was later executed in a prison in France. Of the captured women, only Odette Sansom survived the war. 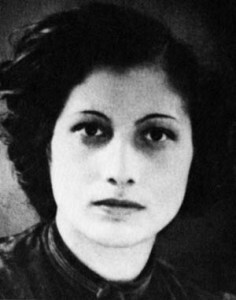 Another casualty of the Prosper deception was Noor Inayat Khan. She was of Indain heritage, a noted children’s writer, and came from a heralded Muslim background. She fled France when the Germans took over that country and arrived in England with her family in May 1940. She subsequently joined the SOE and was given the code name Madeleine. On June 16, 1943, she was flown with two other female SOE agents to France to join the Prosper organization. She was a wireless operator whose job was to send and receive secret messages to and from London. She aided in the release of 30 downed airmen and helped them return to safety. However, the Gestapo soon learned of Khan’s work, and she was arrested in October 1943. The Germans were able to break her codes and sent bogus information back to London. She, along with the other female agents, was sent to the feared Dachau concentration camp. All of them, including Noor Inayat Khan, were executed in September 1944. The deaths of Khan and the other SOE women were only a part of the destruction and betrayal of the Prosper network. During a botched operation in France that may have been caused by an informer in their ranks, a number of Prosper’s agents were rounded up. Among them were Yvonne Rudelatt, Frank Pickersgill, and John Mcalister. All three were captured by the SS. Rudelatt died at the Belsen concentration camp. Prior to the downfall of his resistance movement, Suttill himself returned to London for debriefings. In his memoirs, Maurice Buckmaster said that Suttill met with Winston Churchill, who told him that the Allies were planning an invasion of Europe in 1943. Others in the Prosper network said that Suttill had in turn told them that the invasion was planned for 1943. On June 23, 1944, Suttill was arrested by German authorities outside his Paris hideout. He was severely tortured by the Gestapo and was executed on March 21, 1945. A Deliberate Betrayal by the British? Conflicting beliefs as to who compromised the group were fueled after the war. Upon his capture, Suttill was interrogated by H.J. Kieffer, the chief of the SD’s counterespionage service in Paris. His harsh questioning lasted almost three days without rest or food. Kieffer questioned Suttill about when and where the invasion of Europe would take place, but Suttill did not break. Kieffer, however, had better luck with Gilbert Norman. Under intense questioning, Norman gave up several of Prosper’s most important secrets, including the locations of the F-Section airfields in France used by Prosper’s organization and possibly the names of his fellow agents. Kieffer then arranged a pact with both Suttill and Norman in which he would, in return for their cooperation, spare the lives of any of their fellow Prosper members who would be captured in the future. In the final analysis, the Germans, as far as both Norman and Suttill were concerned, broke their promises, and both men were executed. As far as Dericourt was concerned, no punitive action was taken against him. In fact, Bodington traveled secretly to France to meet with Dericourt, despite the 10,000 pounds sterling price placed on his head by the Germans. To his credit, Dericourt did not reveal Bodington’s whereabouts to Kieffer, and Bodington eventually returned to Britain. So, who betrayed Prosper and why? Did the British deliberately and needlessly sacrifice dozens of their prime agents in such a manner in order to obscure from the Germans the real time and place of the D-Day invasion? To take the mystery one step further, could both Dericourt and Bodington have been double agents, working for the British and the Germans? Dericourt was ordered back to London in February 1944 and faced hostile interrogation concerning his knowledge of the Prosper affair. That same month, a court of investigation was convened to look into all the facts concerning Dericourt and his relationship with Suttill. The investigation was run by Air Commander Archibald Boyle of the SOE and H.N. 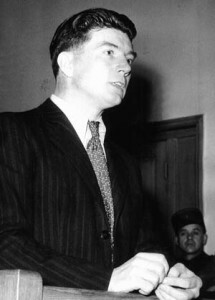 Sporborg, the SOE vice chief of staff. Dericourt admitted to his association with the SD and said he pretended to join them out of necessity. Despite his obvious Nazi ties, no punitive action was taken against him. In 1946, Dericourt was place into custody at a British airport for carrying platinum, gold, and about 1,400 pounds sterling on his person. He was arraigned in a British court, found guilty, fined, and set free. At his hearing, the defense said he was carrying the money on behalf of the “British intelligence service.” In the end, the treachery in the death of Major Francis Suttill and the end of his Prosper network remains among the unsolved mysteries of World War II. Peter Kross is the author of Spies, Traitors and Moles: An Espionage and Intelligence Quiz Book and The Encyclopedia of World War II Spies. Tags Allies, Axis, british military history, D-Day, Dachau, English Channel, espionage, Francis Suttill, Henri Dericourt, Nazi Germany, Noor Inayat Khan, Normandy, Operation Overlord, Royal Air Force, Secret Intelligence Service, Special Operations Executive (SOE), The French Resistance, Winston Churchill. a book was published after the war ” the Prosper double cross” written by an australien I believe is this book still around?